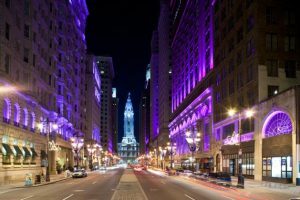 ESI Clients: Hot Spots Around Philly | Econsult Solutions, Inc.
ESI offers a broad range of services for tourism and hospitality clients. Our team understands the unique challenges and opportunities of the travel industry and works with clients to develop customized solutions to help them better understand the market, explore business opportunities, navigate public policy, and articulate economic impact. Over the years, ESI has worked with several clients that work to build and improve on the City of Brotherly Love’s tourism and hospitality industry. For this week’s Present Value post, I decided to take a look at some of these clients, and examine a few that are great destinations to explore! To learn more about our clients and where exactly they are located (not only in Philly, but around the US), check out our interactive map. Delaware River Waterfront Corporation – The Delaware Riverfront Corporation (DRWC) designs, develops and manages the central Delaware River waterfront in Philadelphia. ESI has worked with DRWC on various projects, including analysis for Blue Cross RiverRink & Spruce Street Harbor Park. The goal of DRWC is to create destinations for recreational, cultural, and commercial activities for residents and visitors of Philadelphia. 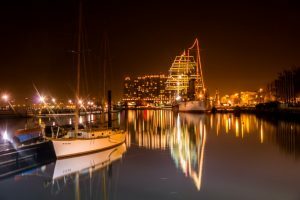 With quite a few places to visit, some of my favorites include Spruce Street Harbor Park, Festival Pier, and Race Street Pier. Their newest mixed-use public space, Cherry Street Pier, opens today! The Pier will be used as a market, workspace, venue, and park, all to be shared by residents and visitors. Check out DRWC’s website for a list of all the fun things happening along the Delaware. Old City District – Old City District’s mission is to improve Philadelphia’s historic district as a place for people to meet, work, shop, live, and play. One of the first things that come to mind when thinking of Old City is the history behind it. 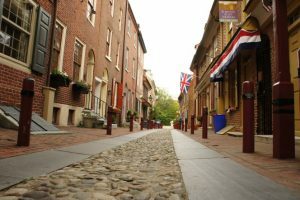 Old City has more than 60 historic locations to visit while in the District including Independence Hall (of course), the Betsy Ross House, and Elfreth’s Alley. There are so many other museums, houses, courts, etc. to explore while in the District that you probably never even knew were there. Next time you’re in Old City, visit some attractions that may be a little less known! For a full list of the District’s historic attractions, click here. Independence Visitor Center – Speaking of Old City… while you’re there, make sure to see the Independence Visitor Center, which is in the midst of a major upgrade including new visitor amenities! ESI found back in 2013 that the contributions of the IVCC to the tourism industry’s economic impact within Philadelphia were significant. This makes a lot of sense, considering IVCC provides access to all the city has to offer including activities, reservations, tickets, and more. With helpful tips on where to park, biking and walking paths, and hotels, IVCC will give you all the details you need when making a trip to Philly. Avenue of the Arts – Avenue of the Arts is located in the heart of Center City, transforming a major section of Broad Street into a lively and energetic spot. In 2016, ESI estimated the economic impact from art organizations and non-arts developments along the Avenue. While exploring Avenue of the Arts, you’ll find everything from hotels and restaurants, to shopping, theatre and music. Some of my personal favorites include the Philadelphia Academy of Music and the Kimmel Center. Watch a show, grab a bite to eat, or enjoy the shopping experience along the Avenue of the Arts. There’s plenty to keep you entertained! 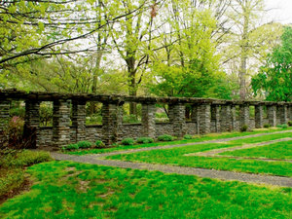 Greater Philadelphia Gardens – In 1989, a group of Philadelphia-area gardens joined forces to promote their gardens and encourage folks to visit. Also known as “America’s Garden Capital”, Greater Philadelphia Gardens (GPG) includes more than 30 public gardens, arboreta’s, and historic landscapes all located within 30 miles of Center City Philadelphia. In 2015, ESI found that the total impact of the operations and visitation to GPG member institutions within Greater Philadelphia was estimated at $256 million on an annual basis. GPG can spark anyone’s interest – including exhibits and areas in art & sculpture, hiking, birding, and museums & gardens. If you’re looking for a spot outside of the city, that works too. GPG has locations in the suburbs including Delco, Bucks County, and Brandywine Valley. Make sure to check them out before the winter months hit. Historic Philadelphia, Inc. – Historic Philadelphia, Inc. (HPI) helps to enhance the visitor experience through interpretation, interaction and educational programming. HPI maintains and programs population attractions like the Betsy Ross House, the restored Franklin Square, and offer visitors the chance to interact with historical players through the Once Upon a Nation program. In 2014, ESI estimated the economic impact of HPI and its programming on the tourism industry and economy of the region. ESI also conducted surveying of visitors to Franklin Square’s Electrical Spectacle show during its first season in 2013. This feedback helped to inform future years of the show, which was rated highly by consumers and brought a large share of first-time visitors to the restored square. Schuylkill River Development Corporation – (“SRDC”) is a non-profit organization that manages the planning and development along the banks of the Schuylkill River, along with the Department of Parks & Recreation. Schuylkill Banks is the name used to brand the eight-mile tidal portion of the Schuylkill River in Philadelphia, from the Fairmount Water Works to the Delaware River. On the eastern side of Schuylkill Banks is the Center City Philadelphia portion of the Schuylkill River Trail which will cover 130 miles when complete, from Philadelphia to Pottsville, PA. ESI estimated the economic benefits generated by the continued development and expansion of Schuylkill Banks, including its significant impact on the Philadelphia real estate market. Try out one of SRDC-led programs such as riverboat tours, kayak tours, and movie nights! 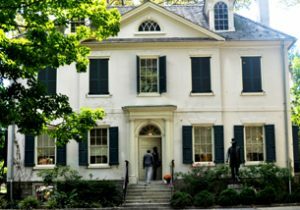 Black Writers Museum – Also featured in our “Hidden Gems” blog post, the Black Writers Museum (BWM), located in historic Vernon Park, is the only museum of its kind in America. BWM cultivates new generations of writers, public speakers, and literary giants who will tell the story of history, as seen through their eyes, experienced in their lives, and expressed in their vernacular. In 2018, ESI helped develop a business plan for the BWM and described the future economic impact it could potentially have in the Germantown area. Stop by, take a tour, and view rare documents on the current exhibit that highlights the Black Arts Movement and the Harlem Renaissance. North Broad Renaissance – North Broad Renaissance (NBR) is a special service district between City Hall and Germantown Avenue – along North Broad Street. The organization focuses on cleaning and safety, maintenance and landscaping, marketing and communications and economic development. In 2017, ESI produced the State of North Broad report which provided an in-depth look at the changing landscape of North Broad Street and adjacent areas. Lots is happening on N. Broad Street! 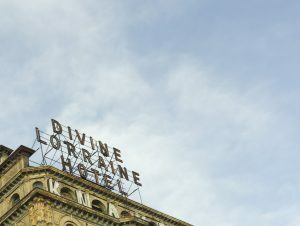 Among the redevelopment of iconic buildings, such as the Divine Lorraine and the Metropolitan Opera House, you may have noticed the 55-foot light masts – colloquially called North Poles. 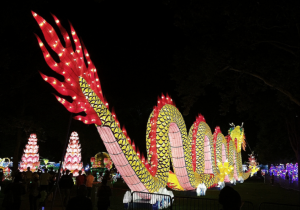 In 2017, NBR oversaw an enhancement project that included an LED light upgrade, which allows them to change colors in order to commemorate special occasions, holidays, and causes. The North Poles were also awarded Project of the Year by Mid-Atlantic chapter of the Construction Management Association of America. Let the poles light your way as you enjoy the renewed energy and activity on N. Broad Street! 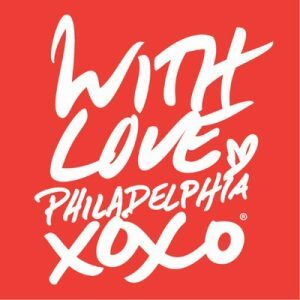 VISIT PHILADELPHIA – All of these attractions and neighborhoods benefit from the efforts of VISIT PHILADELPHIA, the official tourism marketing agency of the region, which for two decades has used a variety of promotional tactics to building Greater Philadelphia’s image, drive visitation and boost the economy. ESI works with the agency to quantify the number of annual visitors to the region and the economic impact of their spending. In 2017, 43.3 million domestic visitors came to the region, and visitor spending generated an economic impact of $11.5 billion, supporting 98,300 regional jobs. Leisure and hospitality has also been the fastest growing sector of Philadelphia’s economy since the recent recession in terms of employment growth. ESI would also like to recognize Visit Philadelphia’s founding President and CEO Meryl Levitz, who retires this year after a remarkable 40 year career in Philadelphia’s tourism industry (including the past 22 years as CEO of Visit Philadelphia). Meryl’s work has been central not only to the growth of Philadelphia as a tourism destination, but as part of the change in how Philadelphia is perceived at home and around the country that has been crucial to the city’s economic growth and the surge in development activity. Lindsay Durkalec is a marketing assistant at ESI where she supports the Business Development team. 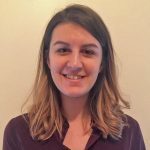 In addition to assisting with proposals, Ms. Durkalec is responsible for enhancing ESI’s brand and work through traditional and social media, content development for the web, and managing the ESI blog, Present Value.